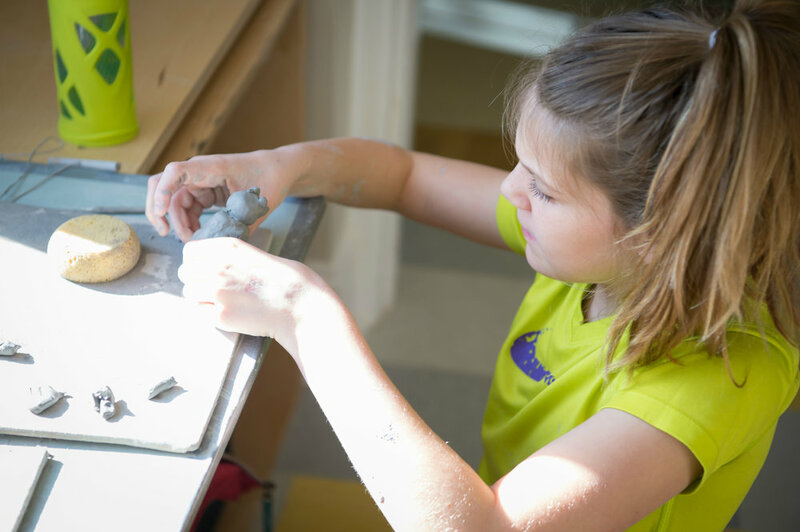 Clay Classes and Workshops are taught by local, experienced Ceramic Artists in Laumeier’s Staenberg Family Foundation Clay Lab. Small group sizes provide participants with individual attention; projects are designed to allow participants the freedom to explore their own potential and creativity. Participants work at their own level and pace with guided instruction for skill improvement. Materials are always provided! 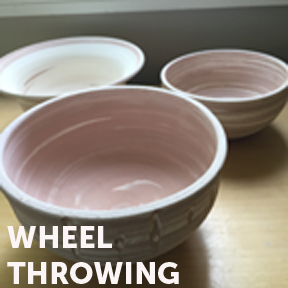 Learn the basics of wheel throwing as a team! 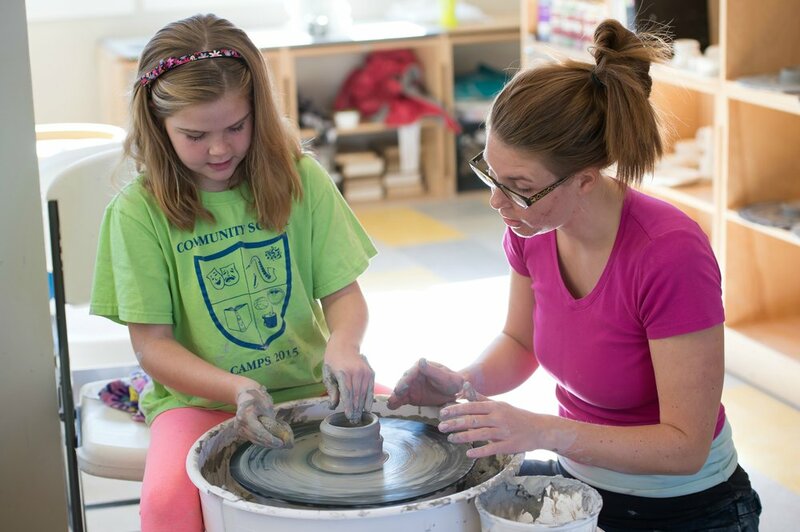 Work beside a family member to each create one wheel-thrown piece following an instructor demonstration. Add hand-built embellishments, add glazes and decorate to complete your works of art. *Please note that children under the age 7 cannot use the wheel independently and must share the wheel with and adult. 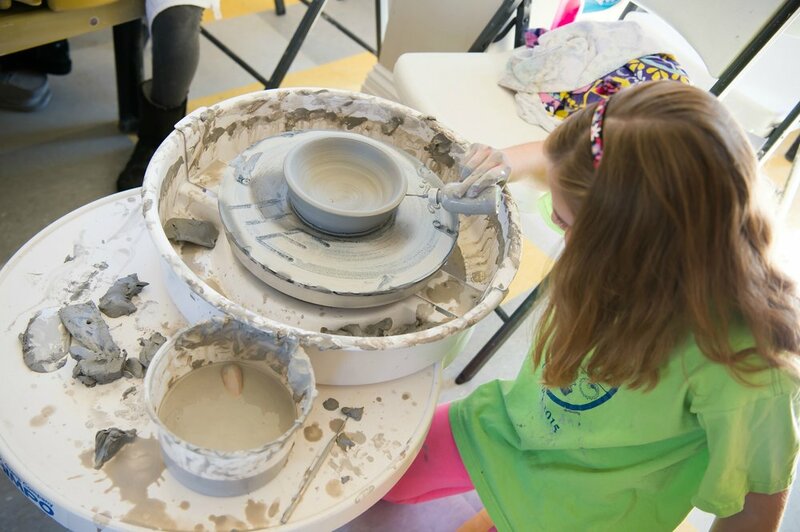 Learn the basics of using the potter’s wheel to make functional clay pieces and non-functional sculptures. Study the fundamental techniques of wedging, centering and raising cylindrical forms such as bowls, cups and vases. Includes an introduction to glazing. Designed for beginners and those slightly more experienced artists wishing to brush up on the basics. Class may be repeated. Wear old clothes, bring a towel and plan on getting messy! Scholarships for education programs are available through the Laumeier Sculpture Park Education Scholarship Fund. Assistance is awarded on a first-come, first-served basis and cannot be guaranteed for all applicants. Scholarships are granted solely on the basis of financial need and are awarded on a sliding scale. Assistance is granted regardless of race, gender, religion, disability, sexual orientation or nationality. Laumeier cannot guarantee space in a program without a completed Scholarship Application Form. Applicants must submit a new Scholarship Application Form on an annual basis. Please contact the Education Department at 314.615.5268 or education@laumeier.org for more information or to request an application. Supported by Blueprint4Summer STL and the Windgate Foundation.